If you’re like me, you struggle with gift ideas for your grandparents. They have everything they need, and they don’t really want anything else. They’re so hard to buy for. But I’m about to let you in on a home run I scored with my grandparents last year—a digital photo frame. But this is not just any digital frame. It’s actually dummy proof. 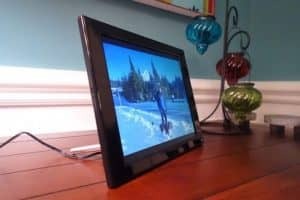 A few years back, I bought my grandparents a big-name digital photo frame. It was a couple of hundred bucks, but I thought it would be worth it because you could email pictures straight to the frame. No grandparent involvement needed. The frame worked fine for a little while, then just died. And shortly thereafter, the company filed for bankruptcy. So I set out to buy another frame with this great feature. No luck (not for any reasonable price, anyway). Then, last year, I found a Pix-Star digital frame on Amazon.com that had the same email feature. I gave it to my grandparents for Christmas, and it was a huge hit, not just with my grandparents but with the whole family! This is such a great gift idea. It has kept my grandparents in touch with everyone and really made them feel more connected to all of us. So even though this is not a gift that was given to me, it was so great that I wanted everyone to know about it as they head out for holiday shopping. After my grandparents opened the present, I set up their new frame for them. It was super easy and didn’t require any software at all, just a wireless Internet connection. In under 15 minutes, our whole family was sending pictures from their smart phones straight to the frame. Here’s how it works. The frame has a free dedicated email address. There is no one-time fee, no monthly fee, nothing. 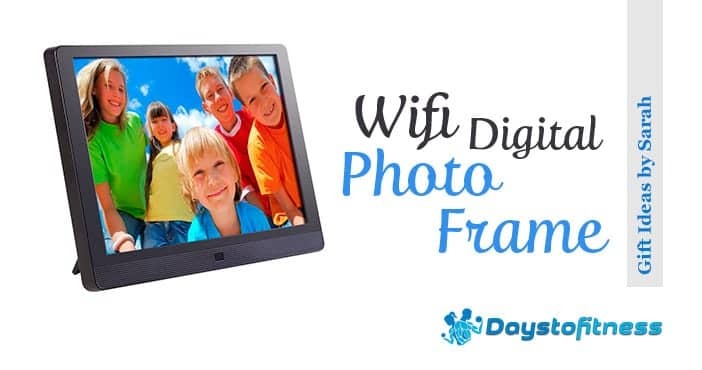 So you just give people the email address, and they can send pictures directly to the frame. How cool is that? You can apparently set up the frame so that images must be approved before they are displayed, but I just set it up for pictures to come up automatically. That means my grandparents don’t have to touch the frame at all. The frame picks new images up almost as soon as they are sent. It even resizes and rotates, when needed. I bought the 10.4-inch model, available at Amazon.com, which comes with a 4-gig memory. A flash drive and some card storage is supported, as well, although we don’t need those. The frame holds about 20,000 pictures on internal memory alone. The Pix-Star has many more features, like weather display and Internet radio, but honestly, we haven’t used it for any of that fancy stuff. We’re just so glad to be able to share our precious moments right away. This frame costs a little more, but the dedicated email and the family connections make it so worth it. 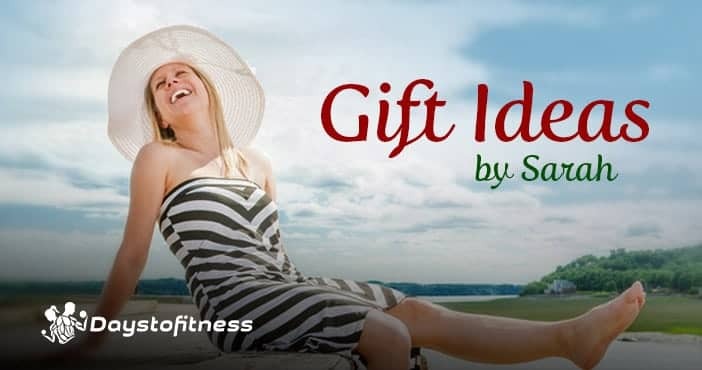 I’ll help with more ideas: 24 gift ideas under $40, gifts under $50, gifts above $50 and all my favorite gifts listed here.